The world's most powerful collection of video game music remixes has delivered yet another outstanding free fan-made tribute album, as OverClocked ReMix releases Humans + Gears: Xenogears ReMixed. 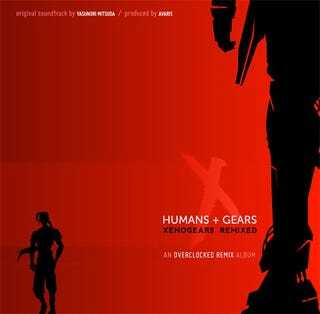 Humans + Gears consists of 33 arrangements of composer Yasunori Mitsuda's original score to the 1998 Square Enix game Xenogears from 30 different remix artists. The two-disc project represents the mechanical and human sides of the Xenogears story, with the first disc focusing on natural, soft, human sounds and the second more dark and electronic. I've listened to several tracks off of the project so far, and I have to say that the quality of the work is simply amazing. There is no reason not to own this music. The entire project can be downloaded right now from the album's official website either song-by-song or in one massive, 1.07GB torrent.